As a kid, you probably had no idea what they were talking about; as an adult, you probably tell your kids the same thing. Tetanus is a common concern among children and adults, and the complications from it can be serious. If you’re hesitant about the tetanus shot’s side effects, which are typically mild and no cause for concern, speak with a medical professional at FastMed. Knowing what tetanus is will help you understand the importance of getting a tetanus shot it. Tetanus is a nerve ailment caused by the toxin of a common bacterium: Clostridium tetani. The bacterium can be found in anything from soil to house dust to the inside of the human colon, making it easy to become infected. Are There Tetanus Shot Side Effects? If you are an adult and never received a tetanus shot, or have not had a tetanus booster in the last 10 years, you should get the vaccine. If you’re worried about getting the shot, consider this: serious tetanus shot side effects are uncommon, and the shot will provide you with protection against the tetanus bacteria and associated complications. FastMed makes it easy for you to get a tetanus shot at a time that is convenient for you. 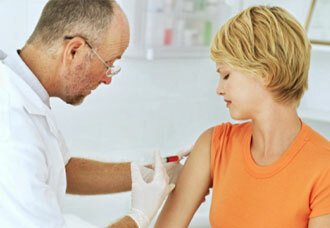 We offer a comprehensive range of seasonal immunizations and vaccines for children and adults.